My paintings are built up with layers using different mediums, from gesso, joint compound, tissue paper, acrylic gels and pastes, plaster and encaustics, to achieve a myriad of textures, and unexpected patterns and varied translucent effects. encaustics on 5x5in. plaster tile. 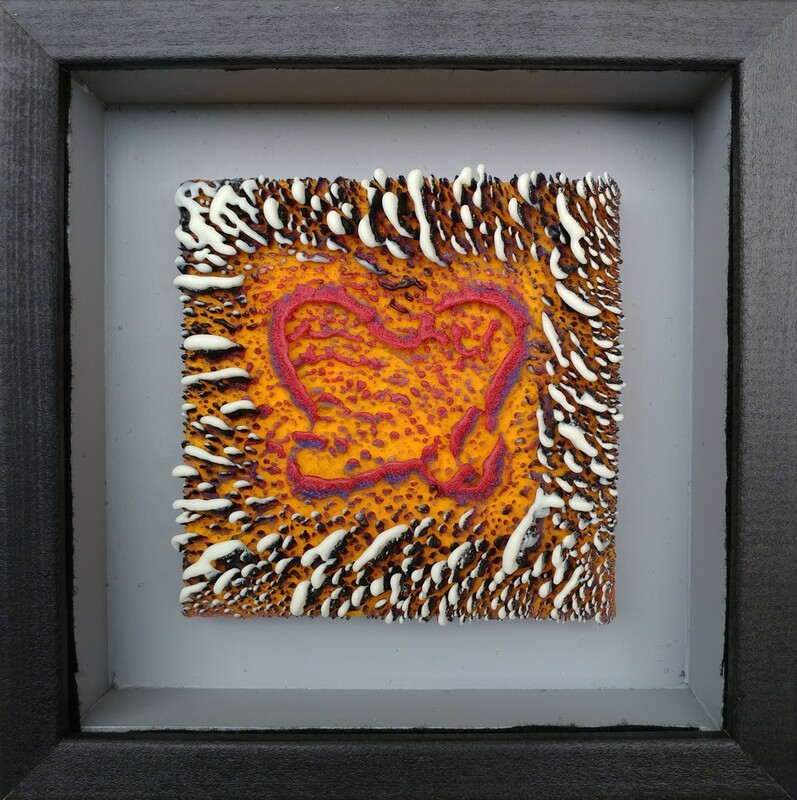 Framed in a 8x8in. shadow box frame.